Print this Christmas star ornament on card stock and let the kids color it. 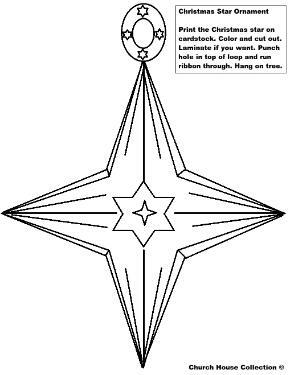 Then have them cut the star out. You can laminate this if you want. Punch a hole in the top of the loop and run some yarn or ribbon through it and hang on the Christmas tree.